This set includes one 13.5" long cake knife and one 11" long cake server. Both are made of stainless steel. The handle is clear acrylic. 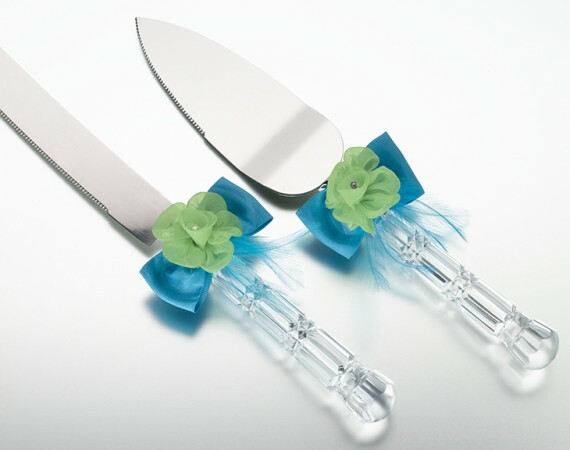 Each is decorated with blue feathers, bow and green flower (deco is removable).